I had trouble sleeping because blinds did not provide enough coverage from light shining through so I was trying to find some black out curtains. Prestige Decor had a beautiful selection of curtains and rods available and Zana helped me choose the ones that I bought. They are so lovely and completely block out the light from the windows. I absolutely love them!! The fabric is great quality and the design on them is so pretty and unique. It was a great find! 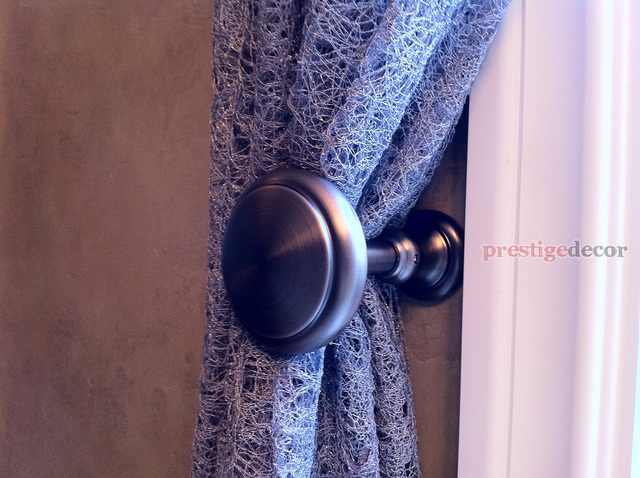 I chose Prestige Decor in Mississauga to do my custom curtains at my Bloor and Yonge condo in Toronto because they have great reviews and are very experienced. They were very helpful and did an excellent job with helping me select the perfect curtain tracks and window coverings. The convenience of their shop @ home service was wonderful. Now we have light control and can finally sleep in without the sun disturbing us thanks to our blackout drapes. 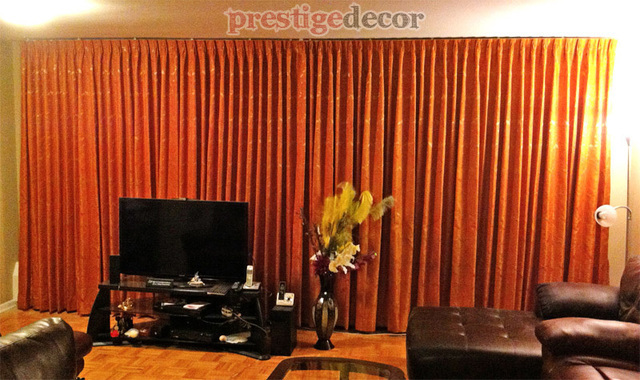 I recommend Prestige Decor to everyone looking for custom condo curtains in Toronto at reasonable prices. 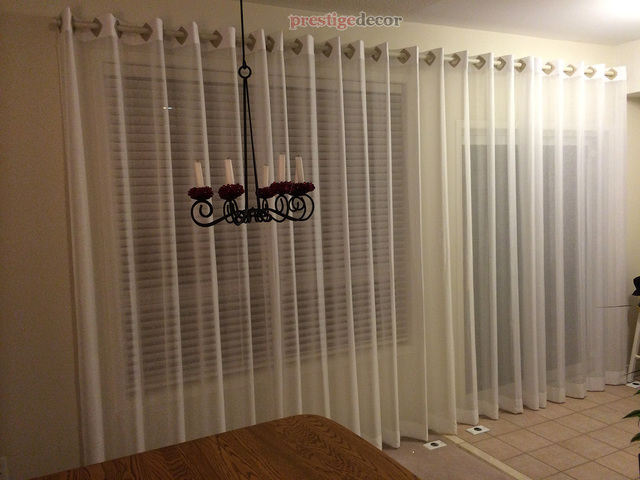 My wife and I found Prestige Decor online, read their website, followed their recommendations: we took measurements as they showed online, brought material, and took a picture of where the curtains will be. We thoroughly enjoyed our time with the three ladies: J, Zana, and Agnes. You can tell they thoroughly enjoy working together and are excellent at their craft. They're smart, and I like smart. They are so patient and helpful. Excellent suggestions. We never felt pressure to buy. They work hard to ensure your choice is right for you. Thank you very much James for your wonderful review it really means a lot to us : ) We look forward to helping you with any custom window treatment advice and/or work that you may need in the near future and hope to see you soon. 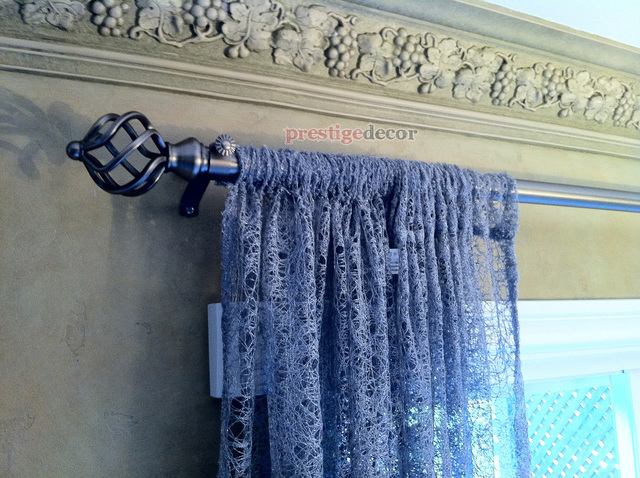 Our drapery buying experience at Prestige was first class all the way. Lydia and Zana were very helpfull in suggesting the materials and styles for our new drapes. The finished products are perfect. Our windows have been transfomed from boring to stunning! Thanks Prestige for making a difficult decision, easy. We would purchase from Prestige again and highly recommend this business to friends and family. Thank you for your amazing review Paul! Knowing our customers are happy is really one of the greatest pleasures of our work : ) It was a pleasure helping you with your custom curtains and we are always here whenever you need advice on fabrics, window treatments and/or upholstery. Thanks again! Horrible experience! However, Agnus was great! Very helpful! She helped me choose the material to cover my chairs. I tried to do it myself and found that I was unable to do the backs. I took them in to get a quote and have them done. I was quoted $50 to $90 / chair back. The next day I received a call saying that it wasn't worth the money for them to do the job! That it was a difficult job and didn't want to do it! Very unprofessional! !! The lady on the phone was very rude and kept talking over my voice! Wouldn't let me speak and explain the situation properly!! She blamed her manager for not letting them do the job and two minutes later said that her manager was away and I couldn't speak to her!! Would NEVER recommend this business to anyone!!!! Angus should really find a better place of employment! !! Hello, and sorry for the delayed response, as we did not see your review until now. We are very sorry about your bad experience at Prestige Decor with your chair upholstery. We do try our very best to help each and every customer, and it is unfortunate we were not able to do the same for you. If there is any way that we can make it up to you, please do get back to us and we will surely do our best to make you happy. I had this service done for one of my aunts who lives in Ontario and she was very happy. This was for her 55th Birthday and couldn't have worked out more perfectly. Thank you guys so much for everything! Really helped me out as I am in Vancouver and wanted to do something special. 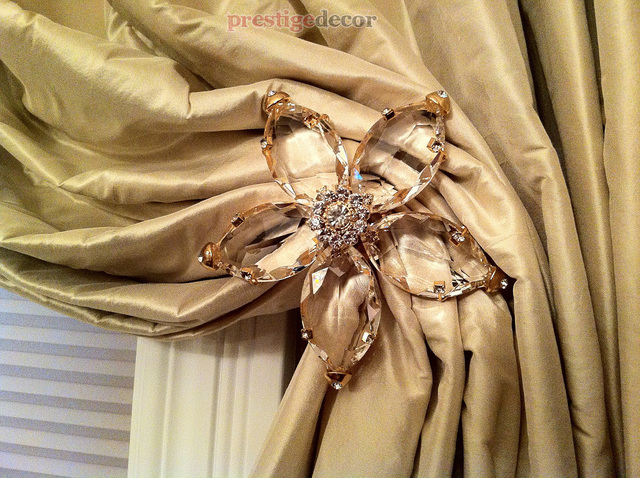 I will definitely use http://www.prestige-decorating.com again. We are so happy to hear that your aunts 55th Birthday was perfect and that we were able to be a part of that! If you have any other questions or need anything else like custom curtains, curtain fabrics, or upholstery please don't hesitate to get in touch! I received excellent service from Zana and the rest of her staff at Prestige Decor. They were very professional and helpful and were able to guide me with suggestions for my living room curtains . The fabrics were amazing , there was such a huge selection . Thanks you again for the excellent service and selection. I highly recommend Prestige! Thank you very much Olisia for your lovely review, it really warms our hearts when we see our customers get out of their way to help us out like you did. We enjoyed working with you very much on your custom living room window treatments and hope to see you again in the near future. We would love to help you with anything drapery or upholstery related anytime, so if you ever have any questions please do get in touch with us. We received excellent service from Sasha and the rest of the staff at Prestige Decor. They were pleasant and professional and helpful and were able to guide us with suggestions for our window coverings. They were so good that we returned to get them to do window coverings for other windows in our home. We highly recommend Prestige! Thank you very much John for your wonderful review, you are very kind and it was a pleasure working with you on your lovely window treatments. It is so amazing to read your review and to know that your are so happy with our work. We would love to serve you again in the near future so do get back to us whenever you have any questions about custom curtains, curtain fabrics or furniture upholstery. I happened upon this company through a search of Homestars, as I was looking for a place close to home. I had already visited one of the very large fabric companies and hadn't come up with anything suitable in the colour shades I was looking for. So I visited this place[ by the way their location has changed] and the staff person who assisted me [Sasha S.] was lovely, respectful of my price point,and very helpful to suggest suitable matches for sofa and chair. I did not decide that day, and again there was no pressure to buy, only helpful suggestions. I did return several days later and place the order, only after another review of my choices, with her patience and further information of the fabrics and their suitability. They also gave me a quotation and suggestions for drapes, at my asking, although I did not choose them in the end. They were very cooperative too as the one fabric had to be ordered and I had to make a special arrangement to have the fabric picked up by the upholsterer, necessitating several phone calls too, all of which was no problem. Dear Mary Ellen, thank you so very much for your time and amazing review regarding your chair and sofa upholstery! We are absolutely thrilled to hear that you had a wonderful experience at Prestige Decor and that Sasha was able to make you this satisfied. It gives us all great pleasure to read your lovely review, and it really is one of the great privileges that we get to enjoy : ) We would love to serve you again so please don't hesitate to get in touch if you need any help. 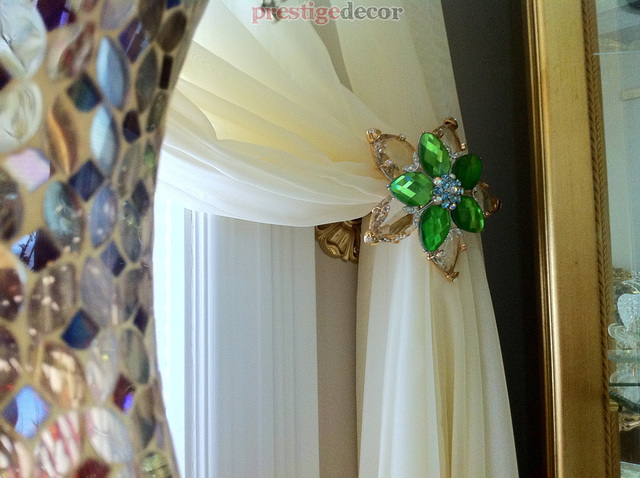 “I had the an amazing experience finding fabric for curtains for my daughters room. I didn't know where to start, there was such a huge selection of fabrics. The staff was friendly and knowledgeable and we were able to pick the right fabric to go perfectly in her room. Thanks again for the great service and selection. 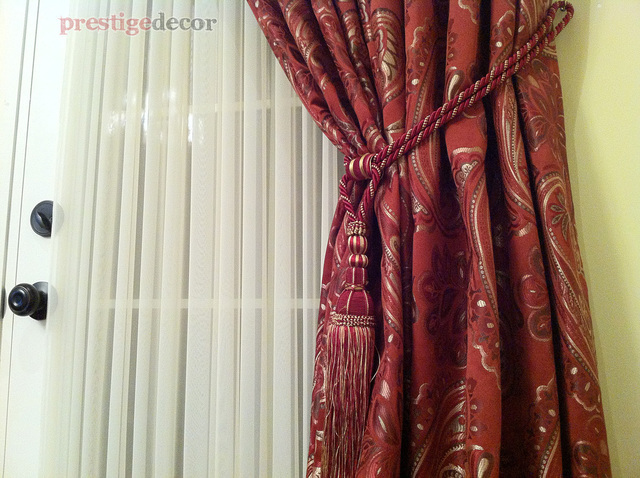 Prestige Decor specializes in window treatments, drapery fabrics, upholstery fabrics and furniture upholstery services. With over 160,000 upholstery and drapery fabrics to choose from, our interior designers can help you design the perfect window treatments and matching upholstery for your residential or commercial projects. Our specialty is custom window treatments. We design window treatments that fit perfectly in your unique living space, and our prices are hard to beat by our competitors in the Greater Toronto Area. We also specialize in high end wallpapers. Our wallpapers are stunning and we have one of the largest inventories of high end designer wallpaper in Canada. Call us today to book a free 30 minute in-store consultation. Our window treatment interior designers will sit with you and show you exactly what you are looking for.